In 2019 the event becomes a “tour with timing”. Allowing those who wish to race the opportunity to do so while still encouraging the majority of the field to slow down and appreciate the beautiful scenery. Photo by Oakpics.com. On the weekend of the 16thand 17thof February 2019 mountain bikers are invited to gather for a tour with timing – the Stanford MTB Classic. 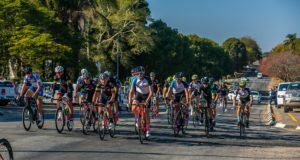 The event boasts a relaxed country village atmosphere, spectacularly scenic riding through fynbos and farmlands, and for 2019 timekeepers too for those who cannot help but race. So be sure to join in the festivities at Stanford Valley. The Stanford MTB Classic features short and longer route options, with the longer routes being 55 and 48 kilometres in length. The short routes meanwhile are 24 and 27 kilometres long. The riding in both distances is varied with smooth gravel roads, flowing singletracks and rugged mountain jeep tracks making up the distances. Kicking off from Stanford Valley the, 55 kilometre long, opening stage stars with a leg-awakening bang. Heading up the Lucerne climb riders will note it is not all easy going in the Stanford MTB Classic there are some challenges to conquer along the way too. The reward for the Lucerne climb is provided by views from Flouhoogte across the Stanford region and the descent to Paardenbergsrivier. The event’s first singletrack flows alongside the meandering Paardenbergsrivier, past Sandhoogte and into the Papiesvlei Fynbos Area. Where the trail terminates Water Point 1 awaits before Hartebeeskloof’s singletracks lead riders on a journey to Hermanuspietersfontein. No wine farm visit would be complete without a vineyard climb or two and so it is with the Stanford MTB Classic’s traverse of the Hermanuspietersfontein wine estate. Fortunately the climbs take riders back into the forests for the Skaduwee singletracks from Vredenburg to Paardenberg and Water Point 2. Then the route winds up-river to Salmonsdam and on again, climbing all the while, to Keeromskloof. Jeep tracks though the fynbos lead riders over a neck, along an old wagon trail, to a lookout above Raka Wines. From there it is all downhill for an exhilarating run-in to the finish at Stanford Valley. The second stage of the Stanford MTB Classic features a 48 kilometre long route, which should ensure riders are back at Stanford Valley in time for an early lunch and prize giving – before hitting the road for home. It too starts with the now infamous Lucerne climb, though it heads up a little higher on the Stage 2 in order to provide views over Walkerbay in the distance. The descent through the fynbos then takes riders through the Oakgrove trails to Vaalvlei where Naas Terblanche will be waiting with a little something to taste; and if you would like to stay and chat you’ll find he has an encyclopaedic knowledge of the fynbos frogs. From Naas’s Vaalvlei, the route meanders to Honeybee farm and the Modderrivier. There the Groen Weidings singletracks lead riders to Water Point 1, after crossing the R326 at Boschheuvel. A short while and a crossing of the Kleinrivier later the routes split. The longer route heads in the direction of Stanford itself taking in the scenic route through the Welgesind, Sir Robert Stanford and Birkenhead Estates. Vineyard roads and singletracks make up the kilometres across those illustrious farms and take riders all the way to Water Point 2 at Stanford Hill’s Tasting Room. A fun downhill links Stanford Hills with the gravel back-road to Kleinrivier Cheese were longer route riders will start to catch up to their short route brethren. The short route, which takes in 27 kilometres on the final day, follows the same quiet gravel road which the longer route joins closer to Stanford from the Kleinrivier crossing past Kleinrivier Cheese. Then it’s singletrack virtually all the way back to Stanford Valley, along the Philipskop’ San Rock Art, Witwater and Bluegum trails to the Kleinrivier below the race village. The final stretch includes a climb from the river and a duck through a culvert under the R326 to lead riders home to Stanford Valley. Riders have various entry options for the Stanford MTB Classic, with the choice to book one’s own accommodation or to stay in a luxury tent at Stanford Valley. Entry choices also include catered options, with breakfast and lunch on Saturday and Sunday available. Dinners meanwhile can be booked separately at the Manor House on the Stanford Valley Guest Farm. For more details on the venue and for dinner bookings visit www.stanfordvalley.co.za. 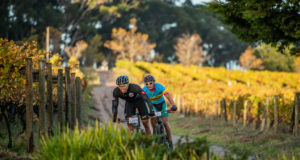 For all the details about the 2019 Stanford MTB Classic please visit www.stanfordmtbclassic.co.za.